As you hit Open Streets this Sunday, be sure not to miss what is arguably the coolest part. About a year ago, while setting up the bar for happy hour at Off the Record, the cocktail bar/record store situated in what I think of as the “Middle East” of West Magnolia Avenue – those blocks between Alston and Hemphill streets –– I chortled heartily after gazing out the street-facing windows and witnessing a little kid kick a slightly bigger kid square in the balls, in retaliation for the latter pushing the former off his bike. A grown-up intervened before that sequence launched a full-scale brother-brawl, and before long, both zoomed back into the unstructured pedestrian traffic patterns that had arisen around an ad hoc soccer pitch designated by a pair of child-sized goals set up in the middle of the street. Within the boundaries of the goals and some parking cones, little kids busily chased and booted soccer balls, and as noon rolled around, the street and sidewalks thronged with parents, children, and dogs basking in the fun of a gorgeous early-spring Sunday. This was Open Streets 2018, when Magnolia was shut down between 8th Avenue and Hemphill for this annual play-day, where the neighborhood’s residents and people from all over the city celebrate the joys of outdoor activity for the bulk of the afternoon. I watched a couple pushing a baby in a stroller stop to fix their dog’s tangled leash, and I instantly regretted and resented having to work, because by the time my shift came to its conclusion, Open Streets would be over, and I would thereby miss watching the skate jam. Since 2011, this ever-popular event has been run by Near Southside, Inc., the nonprofit devoted to the area’s wellbeing. Per its own marketing copy, “Open Streets is a community play-day dedicated to neighborly interaction, healthy activity, and complete streets awareness,” in which “non-motorized rolling fun – i.e. bikes, boards, roller skates, and scooters” are the permitted forms of transit, and outdoor activities ranging from martial arts and yoga to obstacle courses and breakdancing are celebrated and encouraged, with a spattering of locally made artisan booths and food trucks, with preference given to Near Southside residents and business owners. But by design, the sales-y street festival component takes a backseat to the physical activity. Yes, you can buy a street taco and a crystal pendant on a handmade necklace, but hopefully you’re skipping on your way to the vendors. Open Streets is obviously fun for families and dogs and everyone else who loves to play outside, but for Fort Worth’s skateboarding scene, it’s basically the high point of the year. Since the launch of the event, the west end of Magnolia has turned into a mini skate park, and each year, more and more skaters roll up to ride its ramps, rails, and ledges, all of which are built by a handful of dedicated DIY-minded members of the Near Southside’s skateboarding community. Whether you think of skateboarding as a sport, hobby, or lifestyle, it is defined by its notoriously individualistic spirit, and, as such, it stands to reason that getting a bunch of characters bearing that sort of personality streak to come together and build something like the Open Streets skate jam might be a tall order. But that’s precisely what happens. According to lifelong skateboarder and longtime Near Southsider John Shea, coming together as a community to support the skate scene is kind of what being part of that community is about. Though he is imminently humble about his own contributions to skateboarding in this city, Shea, along with friend Luis “Louie” Perez and a handful of other “OG” skaters, are the driving force behind what is arguably Open Streets’ signature component. Other than rolling fearfully down the driveway when I was a kid and some beer-addled longboarding aspirations in my late 20s, I never really got into skateboarding, but I did grow up in the ’80s and went to high school in the mid ’90s, when board culture was always in my periphery, first with friends’ older brothers popping Powell-Peralta’s iconic Bones Brigade videos into VCRs at sleepovers, then later, watching other kids bang around the parking blocks and curbs in the parking lot after school. If I had grown up here, John Shea and Louie Perez would’ve been some of those kids. Over beers at a local Magnolia bar recently, Shea told me he saw his first board in 1986. For Perez, it was ’84. Perez is 46, so he’s been into skateboarding for something like 35 years, and for Shea, now 42, he’s been riding a board for 33. With 68 years of skateboarding between them, Shea and Perez have learned a lot of tricks and techniques, and while mastering the moves, slides, jumps, and airs – and enduring all of the slams and injuries that are parceled with the experience – have made the guys somewhat locally revered, their acquired skills with drills and hammers are what have really made the Open Streets skate jam possible on a practical level. “I learned how to build stuff,” Perez said. 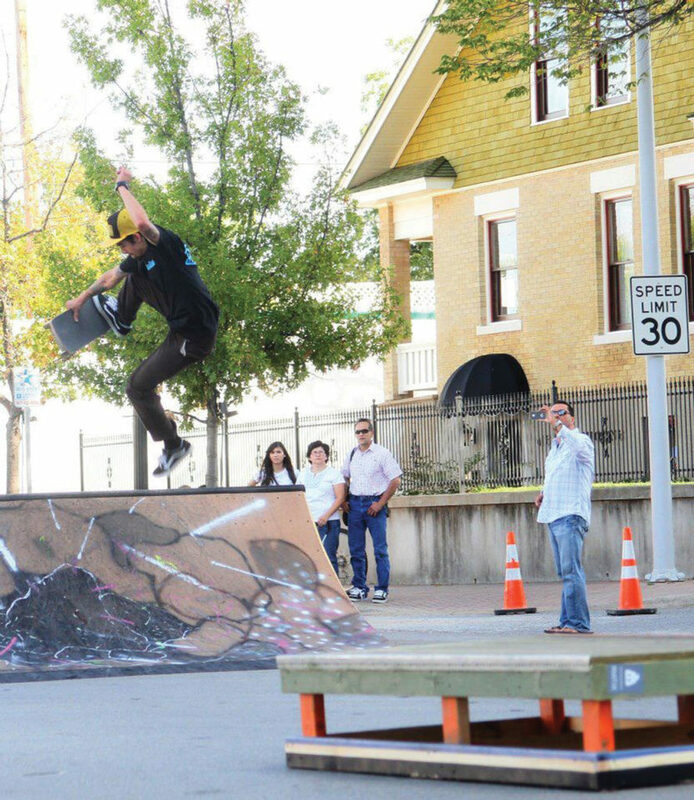 Open Streets is obviously fun for families and dogs and everyone else who loves to play outside, but for Fort Worth’s skateboarding scene, it’s basically the high point of the year. Courtesy of Luis Perez. Skateboarding has always piggybacked on punk rock’s DIY ethos, but back in the ’80s and ’90s, it had more to do with practicality than with ideals or aesthetics. Last year, Perez’s pièce de résistance was a huge box ledge painted to look like, well, a box, specifically one that might have held the world’s biggest pair of Adidas. But over the past eight years, he and Shea have both built and stored on their own dime and at their own homes a veritable showroom of ramps and transitions, which the guys and friends haul from Shea’s house on nearby Hurley Street down the block and set up in the morning of each Open Streets. As you might imagine, it’s a ton of work to fill a city block with the kind of obstacles and transitions that skaters actually enjoy. But perhaps more remarkable is that Shea and Perez took all that work on themselves from Day 1, when one of their friends, a skater named Brighton Grisel, saw the first Open Streets flyer. “And that’s where Brighton came in,” Perez said. 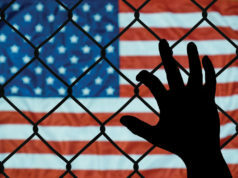 “He saw the poster and brought it to me, and he said, ‘I’m gonna find out who to talk to,’ and he poked around,” which brought him in contact with two leaders of Near Southside, Inc., Mike Brennan and Megan Carroll Henderson. For a couple of skaters, the opportunity to be given carte blanche by a city-approved neighborhood nonprofit to make up a skate park-esque situation was more or less a dream come true. Like every beginning, Open Streets’ skateboard event started small, but momentum built quickly, especially since Open Streets was held twice a year (spring and fall) from 2011 through 2014. But then it grew bigger and bigger. Shea said the Near Southside has seen a “rotation of skaters” that have moved in and out of the neighborhood over the years, but there are always new ones who help out. 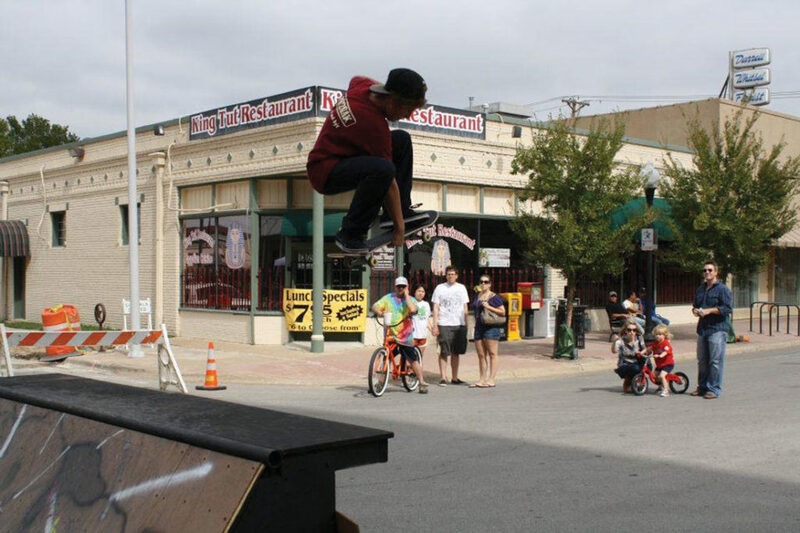 Shea said that one local business was a direct byproduct of Open Streets’ skateboard component. 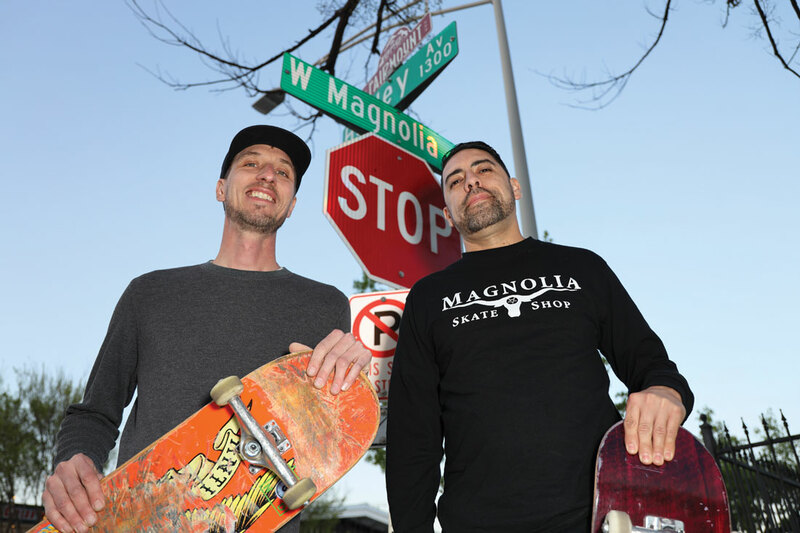 Magnolia Skate Shop, an independent business retailing skateboards, accessories, and apparel, is co-owned by local skateboarders Bobby Wilson and Coyt Caffey. According to Perez, they opened their outfit on that stretch of Magnolia because of Open Streets. “That’s exactly why they put the shop here, because of the event we have every year,” he said. Per the shop’s for-skaters-by-skaters business model, it’s highly supportive of the scene. That happenstance networking is pretty much intrinsic to the skateboard community –– Perez’s Facebook page is full of nostalgic pics from Freestyle, the Kennendale skate park he ran until it closed in 2009, and in those photos are the teenage versions of many of the same faces you see turning up to grind on the Open Streets transitions. Being skateboarding lifers, Perez and Shea have both found employment within the sport. Prior to running Freestyle, Perez worked at M&M Skate Park in Austin for five years. 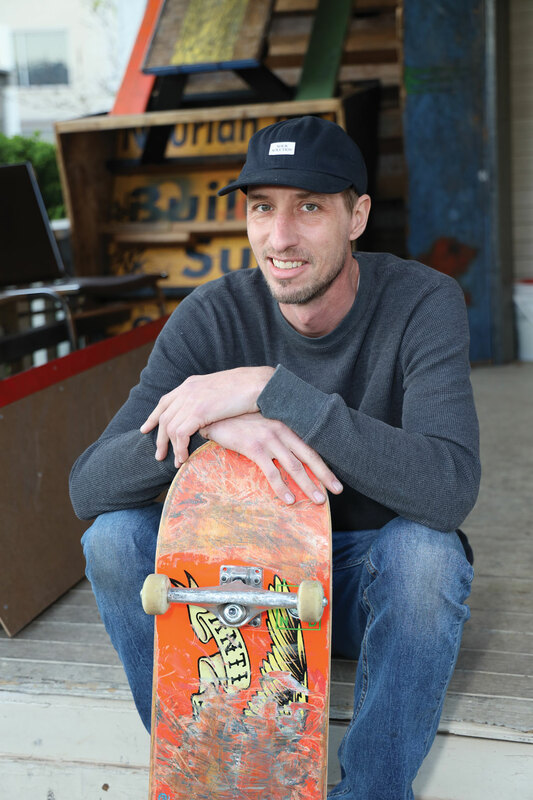 Shea moved to Southern California in 1999 and spent five years working for Dwindle Distribution, the largest skateboard manufacturer in the world, before moving back to Fort Worth in 2004. After he returned, he landed a job at Spiral Diner and a house on Hurley. “I fell in love with this neighborhood,” he said. According to lifelong skateboarder and longtime Near Southsider John Shea, coming together as a community to support the skate scene is kind of what being part of that community is about. Photo by Lee Chastain. Magnolia’s boom didn’t really ignite until about 10 years ago, and before that, the street was pretty empty – a perfect environment for someone like Shea, who said he’d spent his time in SoCal living and breathing skateboarding. Naturally, he wanted to help grow the scene here however he could. Back when I dabbled in longboarding, I went to a couple of meetings at a local nonprofit space for a group that tried to encourage the city to build a concrete skate park. Most of the people were younger than I was (and employed at Spiral Diner), but there was a tall, lanky guy in baggy jeans who seemed to be about my age. I found out later that was Shea. 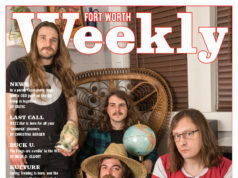 Shea has been an advocate for Fort Worth’s skateboard culture for years, and though he probably would politely decline to take credit for it, Open Streets has been his biggest success in that endeavor. But Shea sees it not as some victory but more of a positive movement and a way to give back to the greater community. 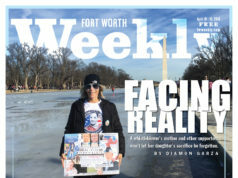 Perez believes a concrete park could happen with help from Skatepark of Austin, which built Chisolm Trail Park in Crowley. “Chisolm Trail is a good park, but it’s kind of far away,” Perez said. Money, like the song says, is a drag, at least when it comes to funding a park and, for that matter, when you’re a skater who wants to build ramps for an annual community event. Shea, Perez, and friends like fellow skater Evan Owens have all constructed Open Streets’ skateable topography out of their own pockets, occasionally supplementing their funds with donations and/or benefit events. But strictly speaking, the event is borne out of their passion for the sport, and it’s also borne out of a little bit of hoping for the best. That leap of faith has not gone unnoticed, nor has it gone unheralded, at least. Megan Carroll Henderson, director of events and communications for Near Southside, Inc., is sincerely effusive of Shea’s contribution to Open Streets. “John was one of the very first people to offer to be involved with the event,” she wrote in an email. “Most importantly, he has always been dogmatic that he never receive credit, that no single company or product ever have ownership of the skate jam. 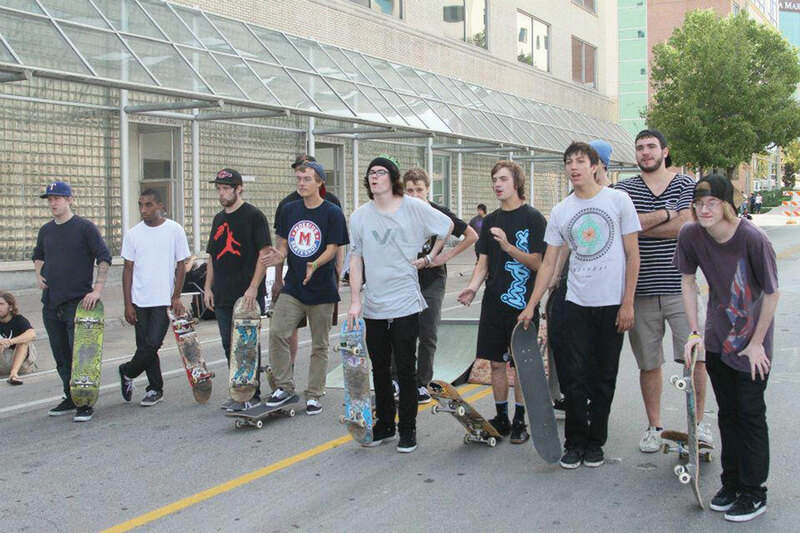 Skate jam has been and always will be built by the community and for the community. But mostly, it’s built by John. His passion, selflessness, and dedication to the sport, his understanding that more than a sport, it is a community, and more than a community, skating is an act of family to provide refuge and acceptance to those in need. Indeed, while Shea happily agreed to an interview about skate jam, he downplayed his involvement, as did Perez. They are both really just focused on how it exists because the skaters want it to, but Shea asserted that it is all about the skateboarding community and not owned by any other entity. Yet even he and Perez will allow that their event is one of Open Streets’ main draws. “We’ve been told we are essential to it,” Perez said, chuckling. Yet Shea can’t escape some recognition. With 68 years of skateboarding between them, Shea (left) and Perez have learned a lot of tricks and techniques, and while mastering the moves, slides, jumps, and airs — and enduring all of the slams and injuries that are parceled with the experience — have made the guys somewhat locally revered, their acquired skills with drills and hammers are what have really made the Open Streets skate jam possible on a practical level. Photo by Lee Chastain. 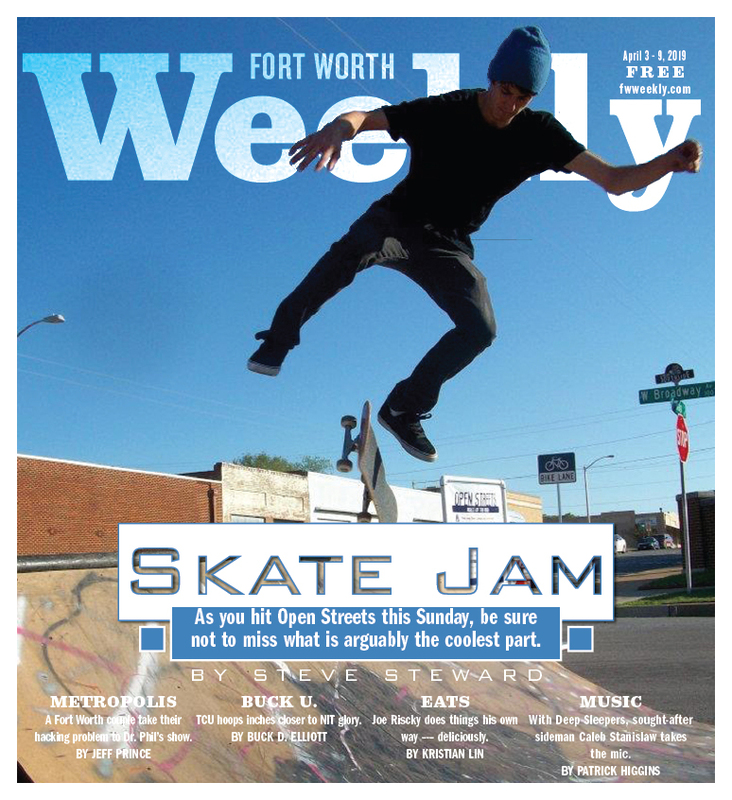 Shea, along with Perez, is literally the subject of a front-cover story at this very moment, though that status is arguably in the service of his passion for putting together the skate jam. 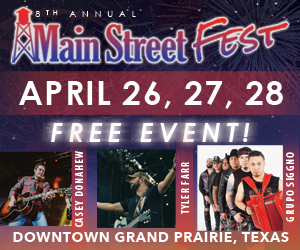 And when I talked to him and Perez, at the beginning of March, about a month ahead of the event that starts at noon on Sunday, they were still scrambling to put all the pieces together, in part due to the crummy weather that fell on North Texas at the time. Perez said he was going to “freestyle” a ramp. But even though his back and knees complain and he and Perez are both nagged by the ghosts of three decades of skateboard-related injuries, Shea is still stoked.